John Relman, a US civil rights lawyer, last week described elements of Facebook's advertising feature as facilitating practices which are 'horrifying', 'massively illegal' and 'about as blatant a violation of the federal Fair Housing Act as one can find.' The claims come in the wake of revelations emerging from a ProPublica investigation which found that Facebook makes it possible for advertisers to tailor their ads' outreach on the basis of 'ethnic affinity'. The fear is that such a policy allows advertisers to essentially erect a 'Whites-Only' sign in their window when it comes to advertising for homes and jobs - albeit one that isn't visible to the public. Facebook doesn't ask users for their race or ethnicity when they sign up. However, the site does create 'ethnic affinity' profiles, based on users' activities, such as the pages they like or posts they engage with. Steve Satterfield, Facebook's Privacy and Public Policy Manager, defends this general practice as being a useful tool for those who wish to advertise on the site. An example of its being put into practice is to compare the performance of advertising in different languages. Satterfield emphasises that 'ethnic affinity' is not the same as race. Such practices are common in the advertising industry, and are legal in the United States when it comes to most types of advertising. Although ProPublica has not specified how many times they tried to place such an advert on Facebook, the fact that they managed to get one past filters and onto the site is itself very worrying for those who hope to uphold civil rights legislation online. Under the Civil Rights Act of 1964, advertising which discriminates in a similar way is also outlawed when it comes to employment opportunities; which likely makes it illegal for similarly discriminatory adverts to be placed for jobs. 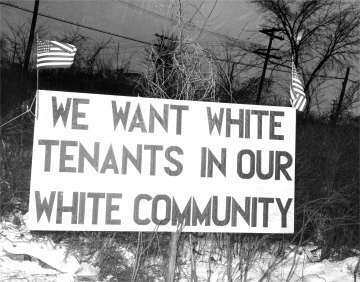 The issue of racial discrimination in accommodation is a live issue in the United States at present. At least part of the reason Donald Trump is currently polling at zero percent of the African-American vote in certain areas boils down to the Trump organisation's alleged history of denying accommodation to African-Americans in the 1960s and 1970s. For the African-American community, the news over the past few days has been pretty disappointing when it comes to social media in general. The announcement last week that Twitter will be cutting its video-sharing platform Vine has been said by many to be the killing-off of one of the web's "biggest platforms for black culture". In such a context, the allegations now directed at Facebook seem only to build upon existing frustrations related to the perception of America's endemic, enduring problems with racial bias, negligence and discrimination.